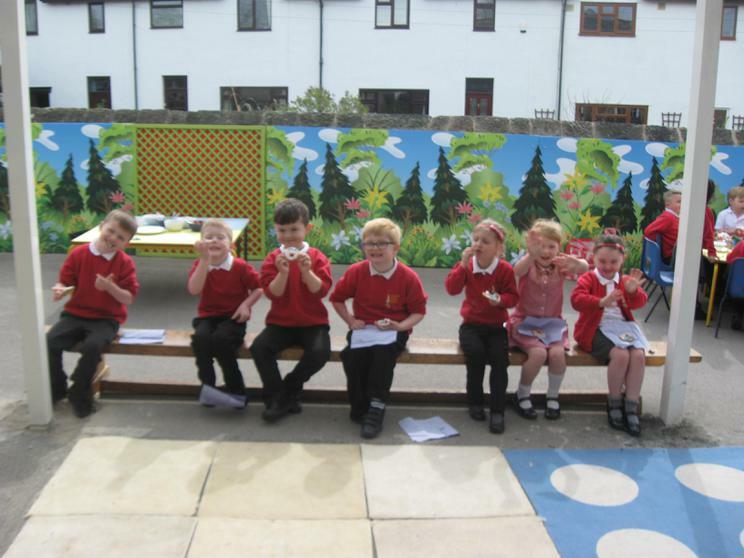 For the last week of term we won the 'Best Attendance' award and the 'Best Punctuality' award! 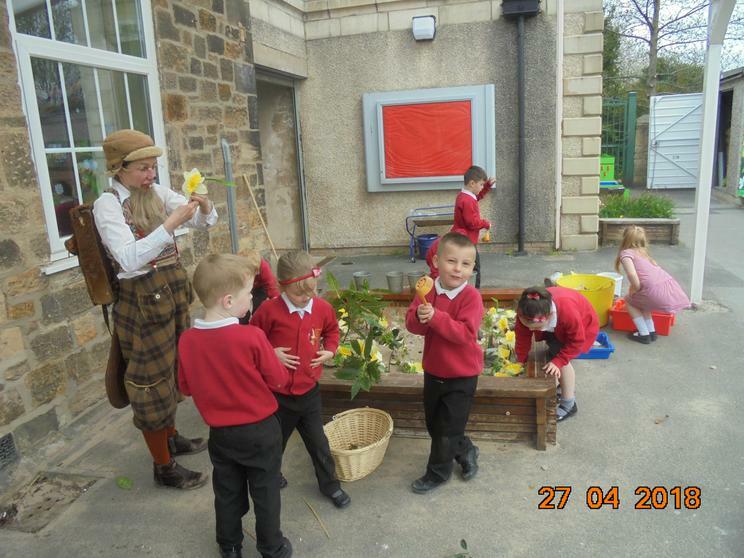 We have had our last Forest School session with Mr Vyle and Miss Gibbson this week. 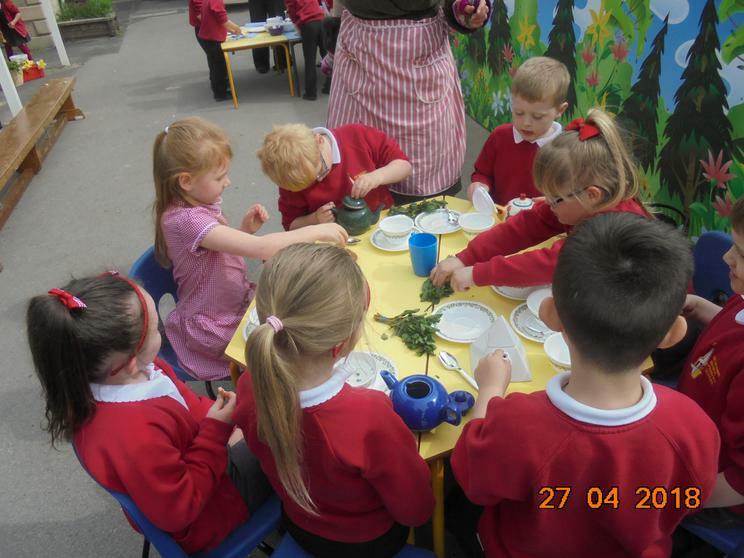 The photos from all previous weeks are on the Forest School section of the website, on the same drop down menu as the Class pages. 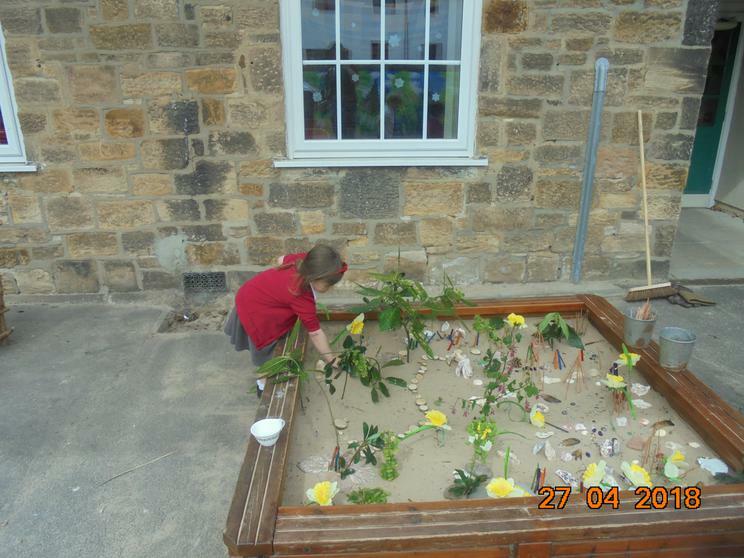 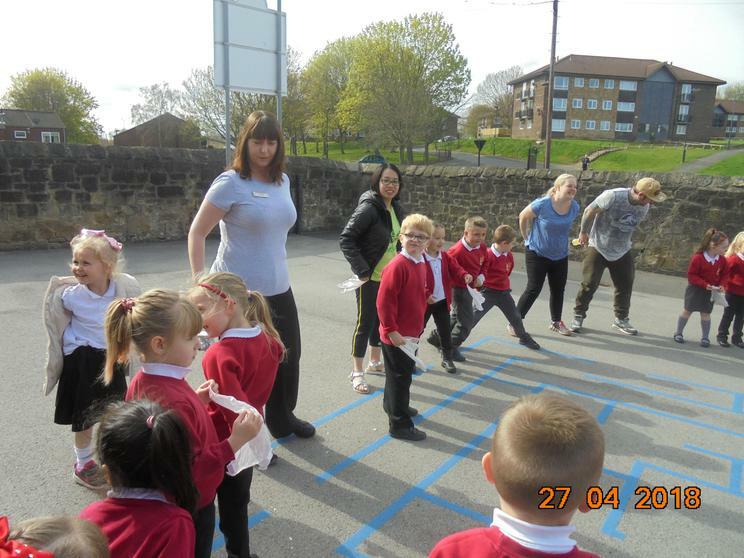 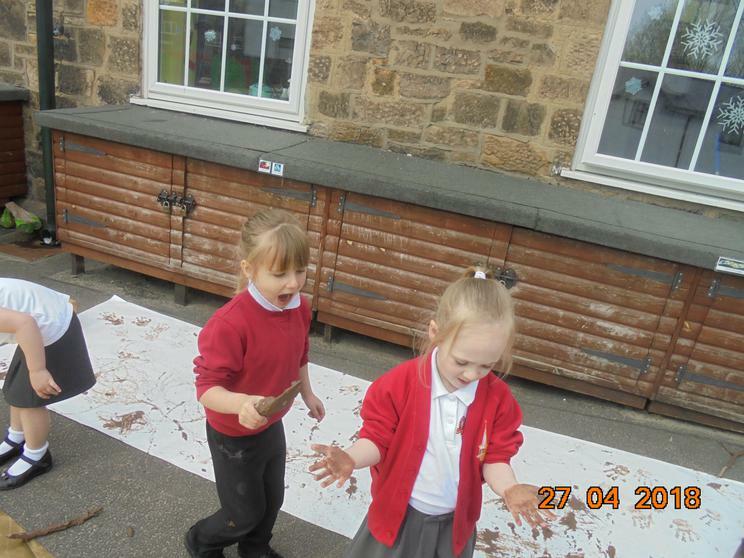 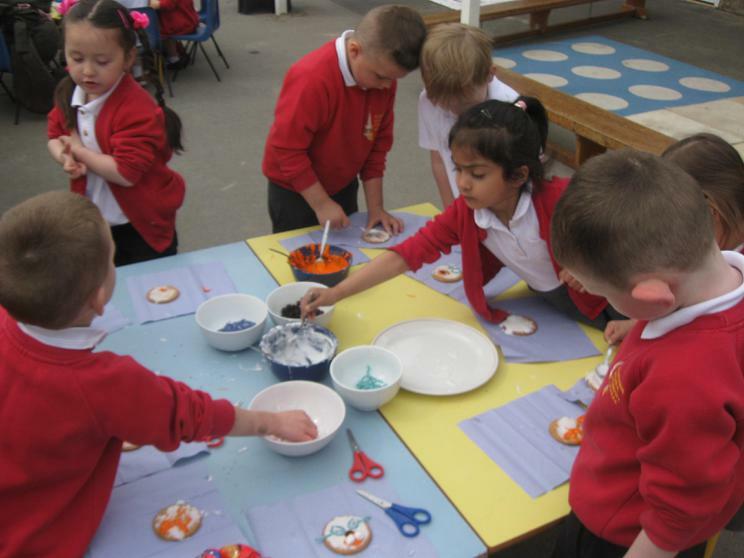 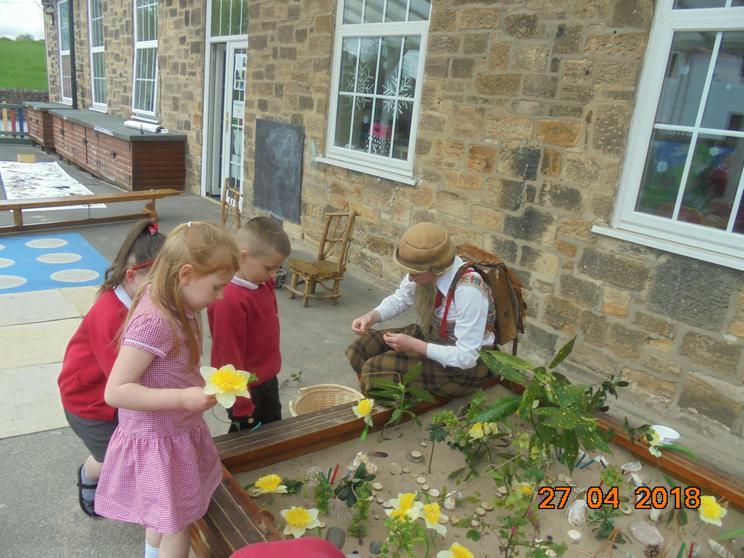 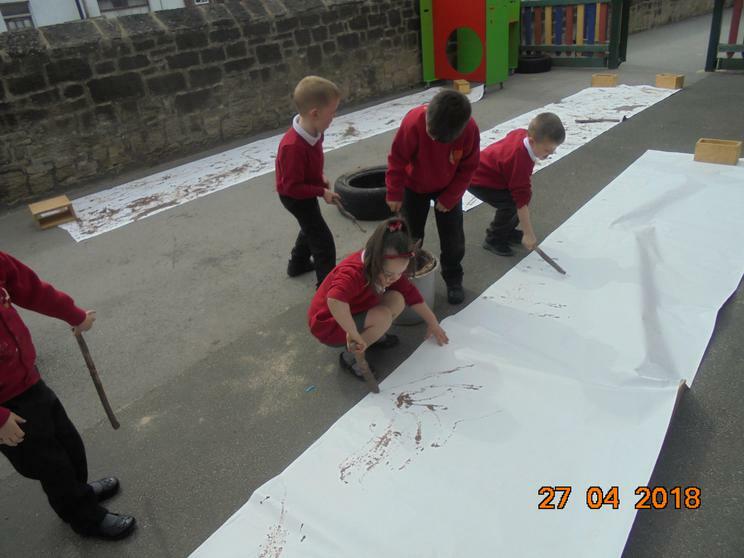 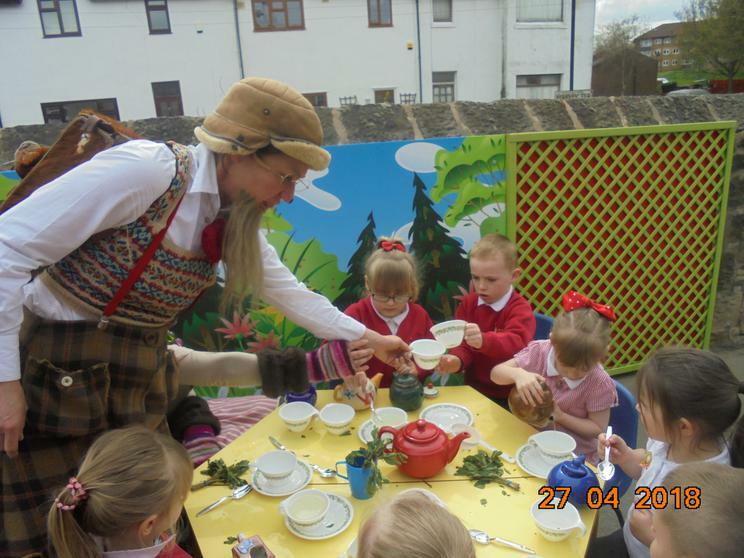 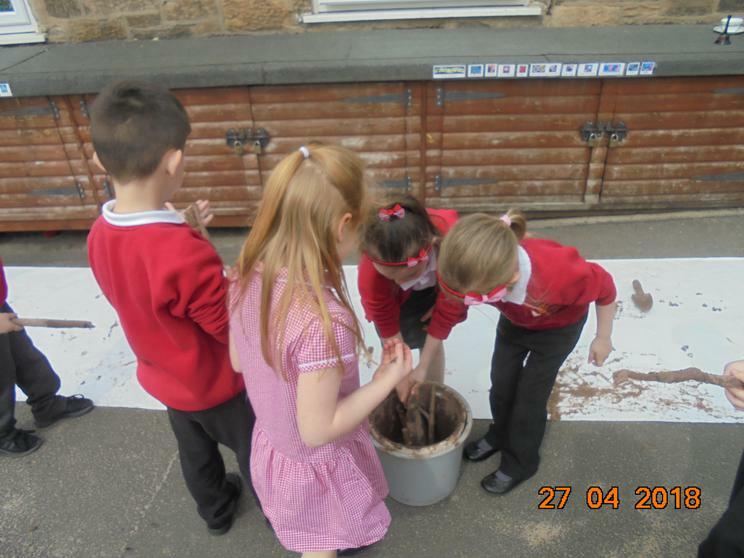 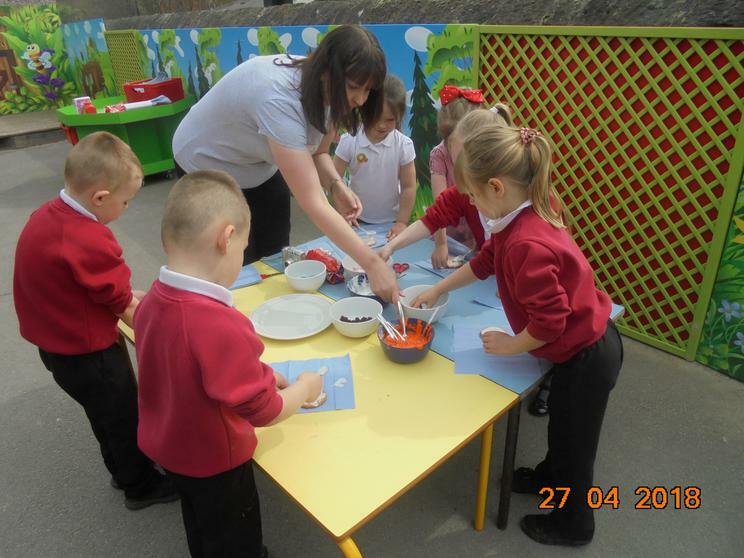 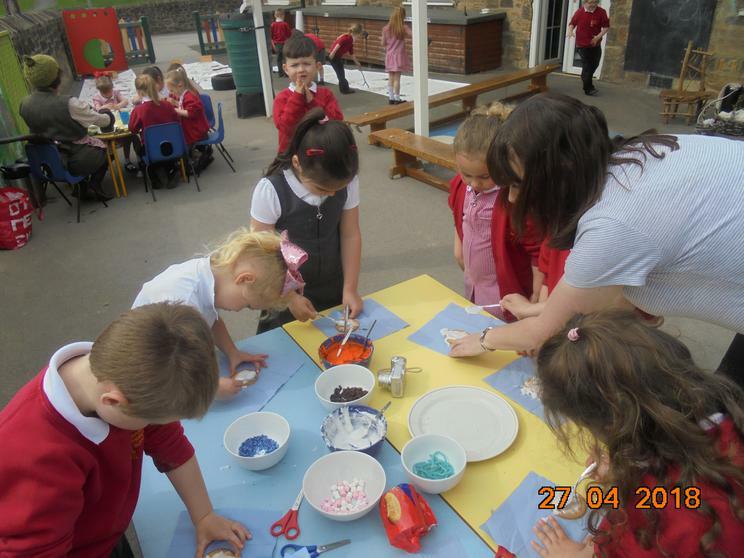 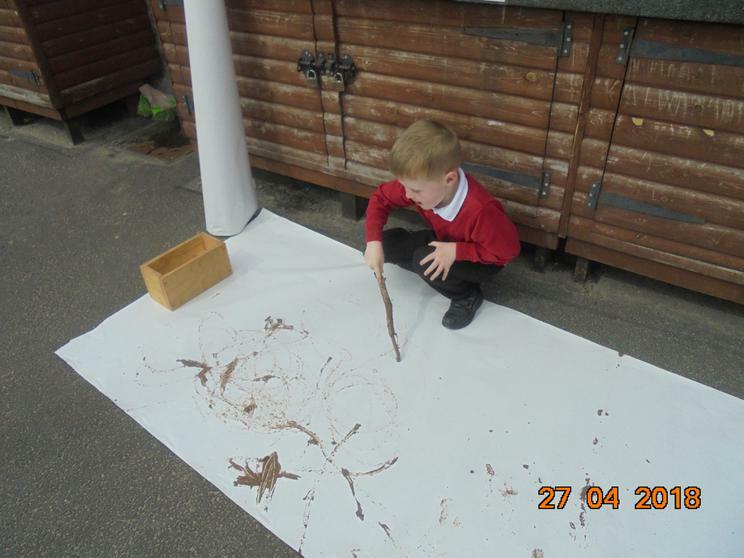 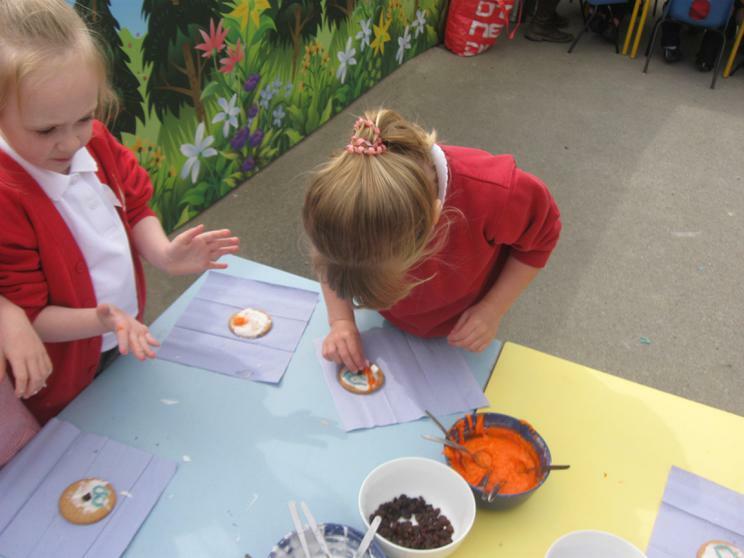 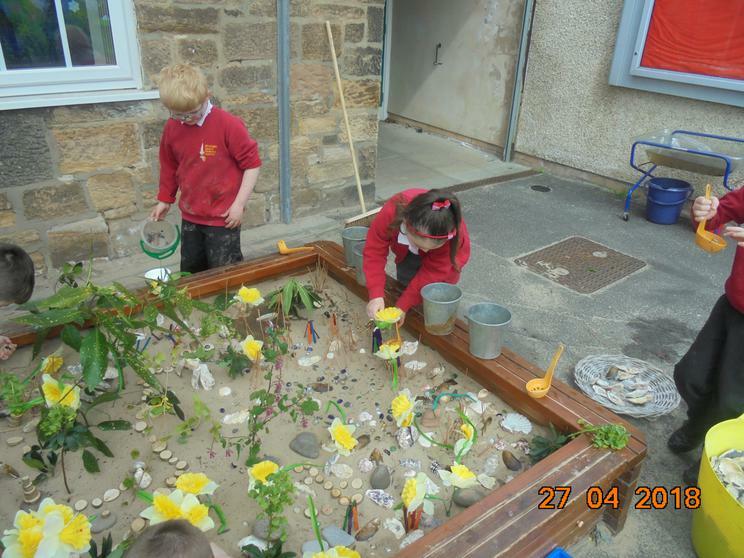 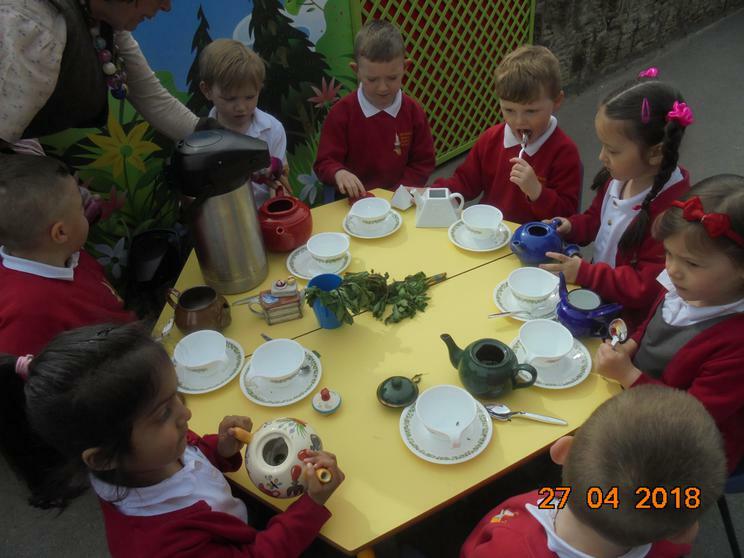 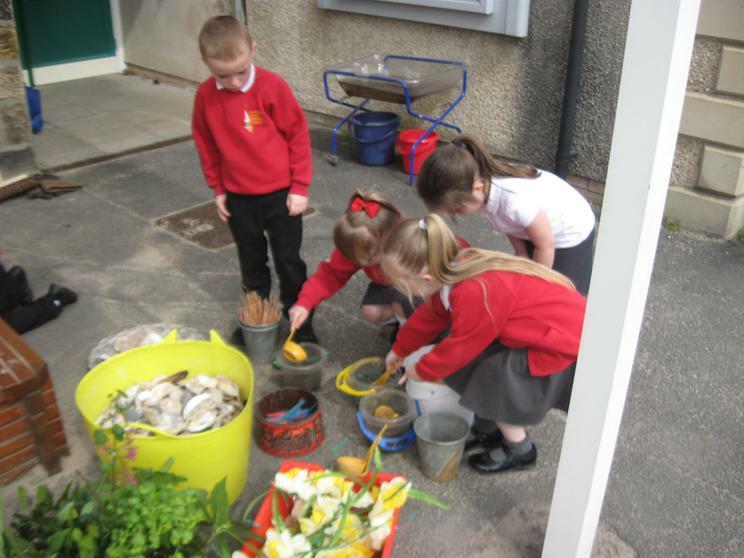 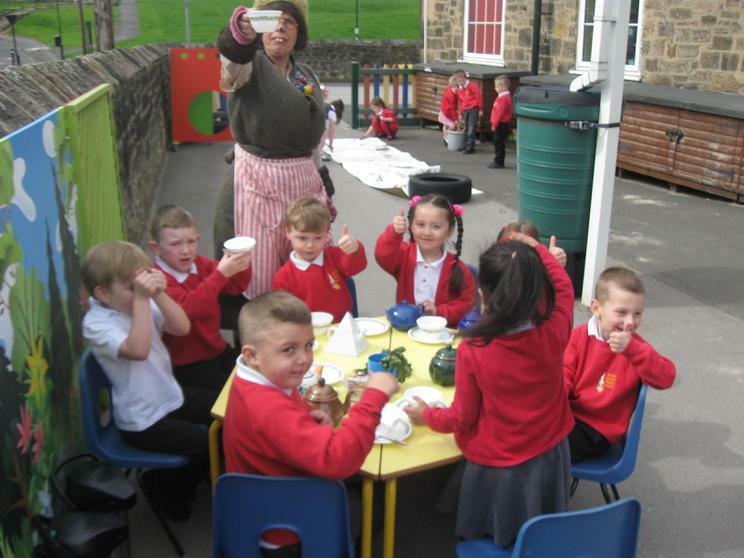 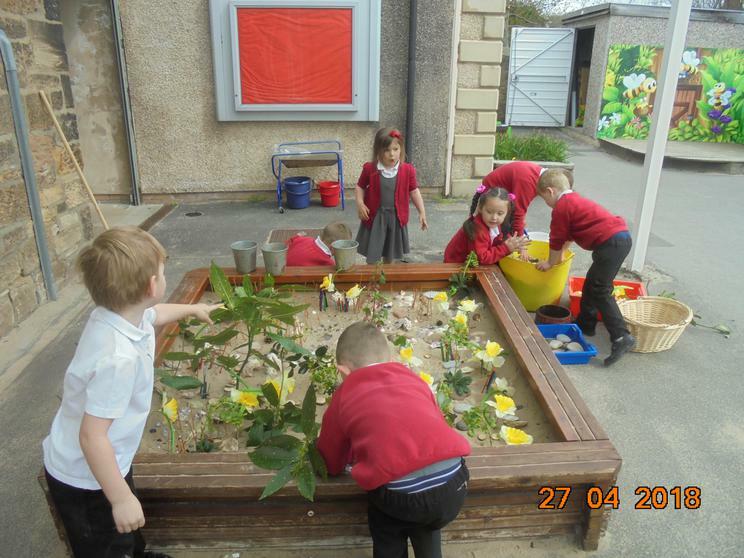 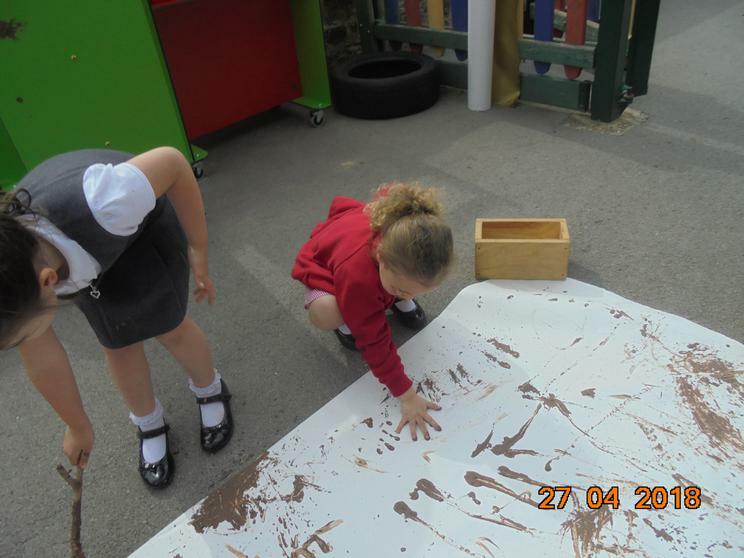 We have really been enjoying our outdoor area in the lovely weather this week. 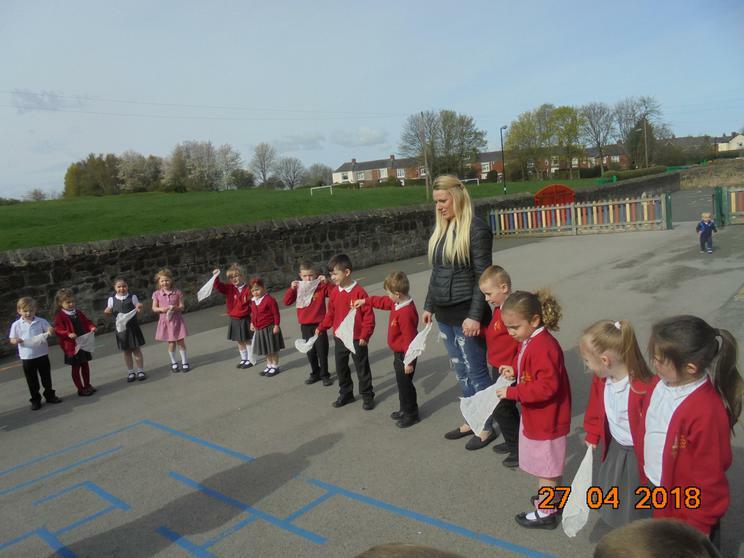 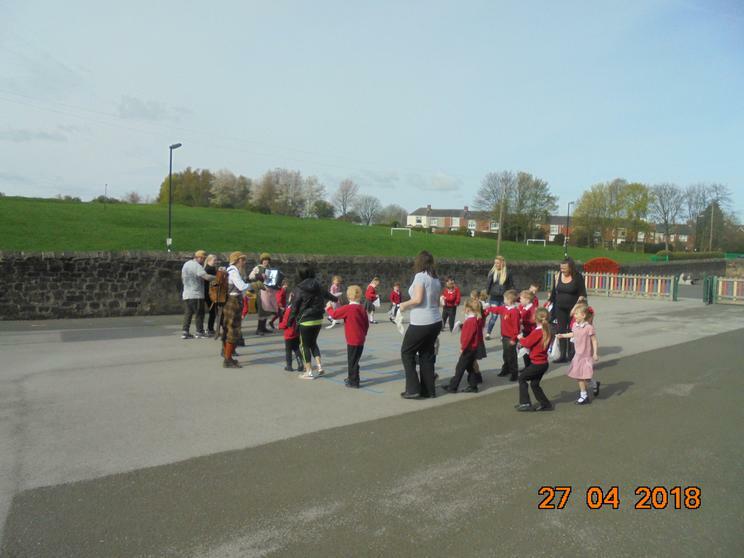 On Monday whilst half the class were willow weaving and after we had completed our writing tasks we went outside to explore. 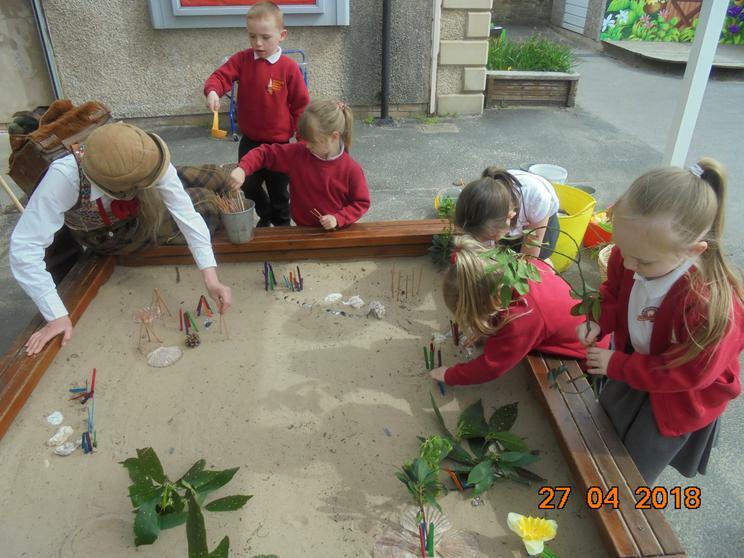 A group of girls made a lovely balance course, some of the children worked with the small world castle and people, a group of boys played super hero's making gadgets out of stickle bricks and we all made sure the tadpoles were doing ok.
12 of the reception children spent some time willow weaving with, we are making sculptures of hens to display in our school grounds, over the next few weeks all of the children will have a chance to participate. 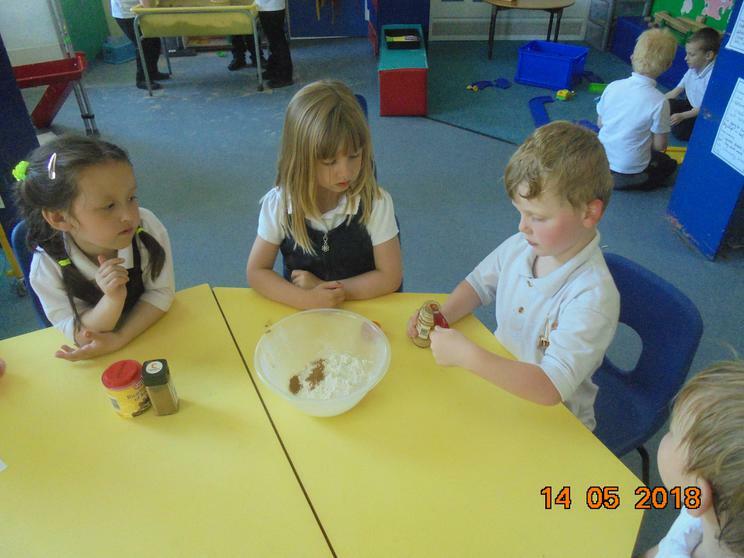 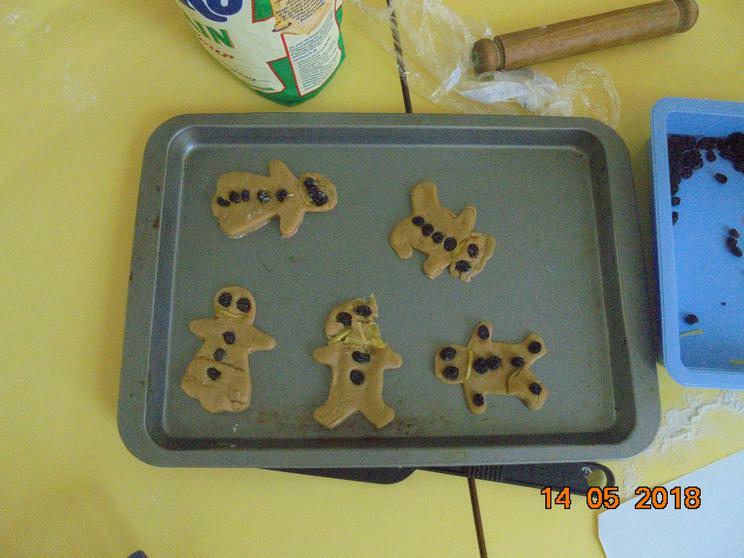 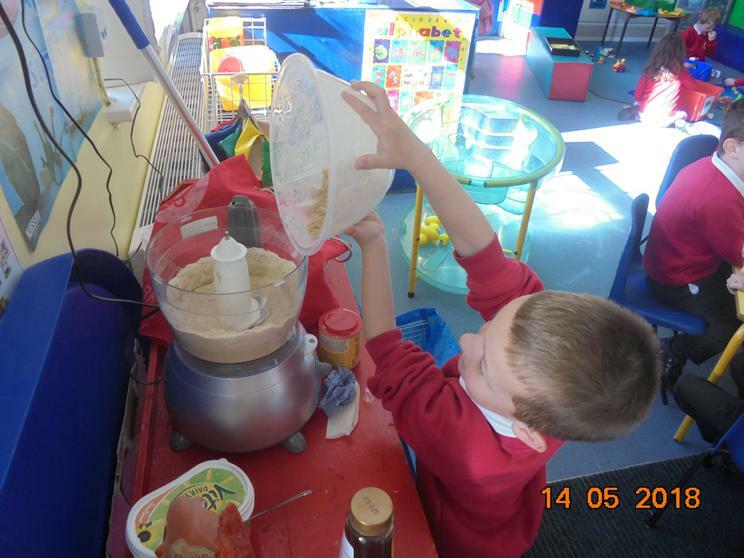 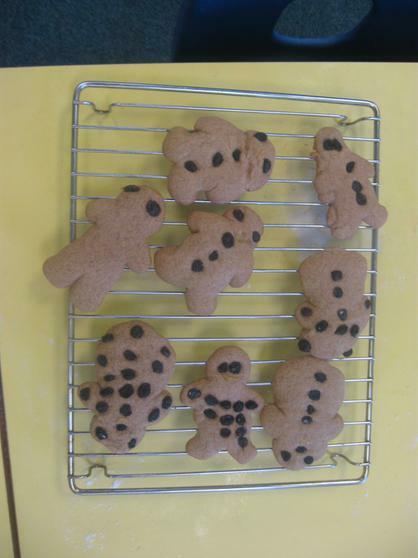 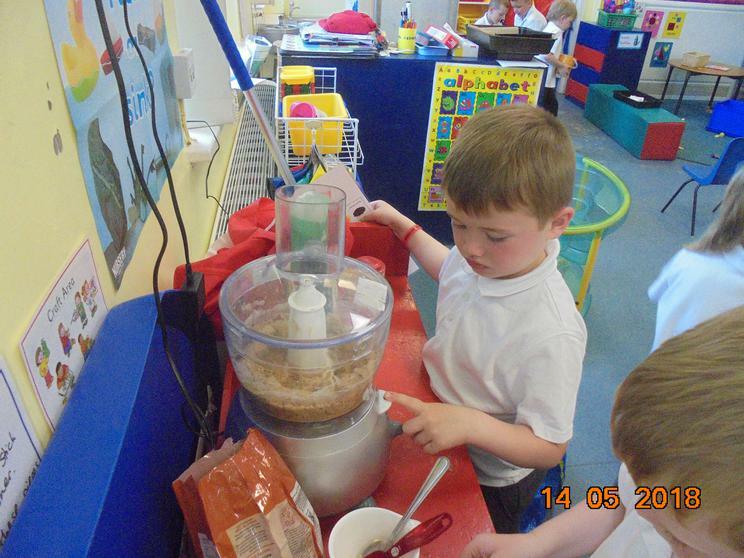 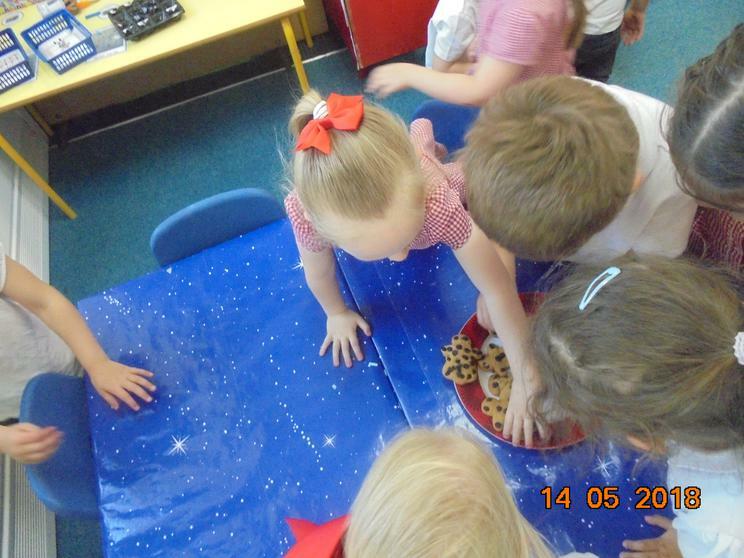 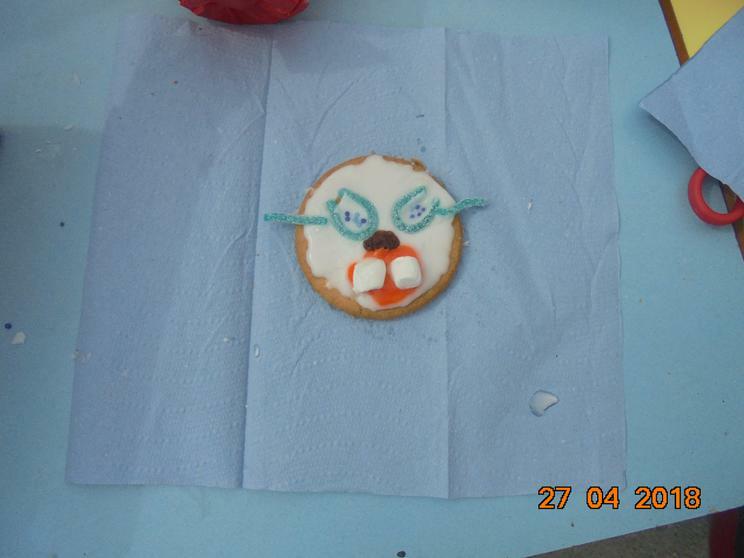 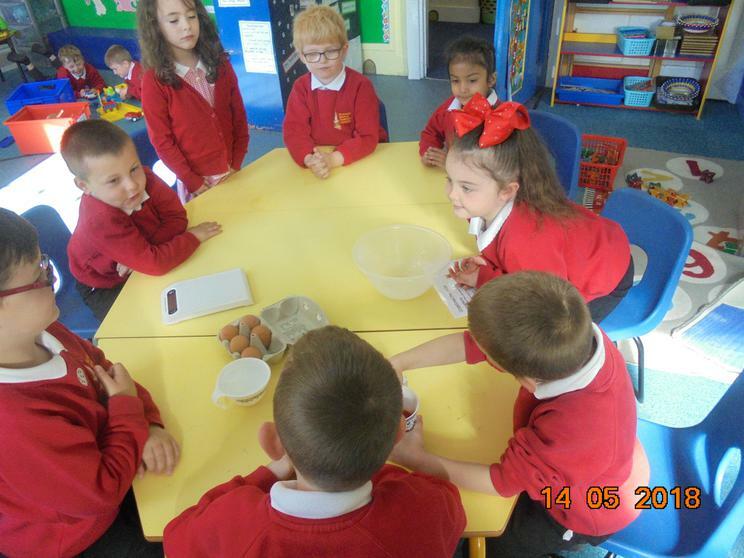 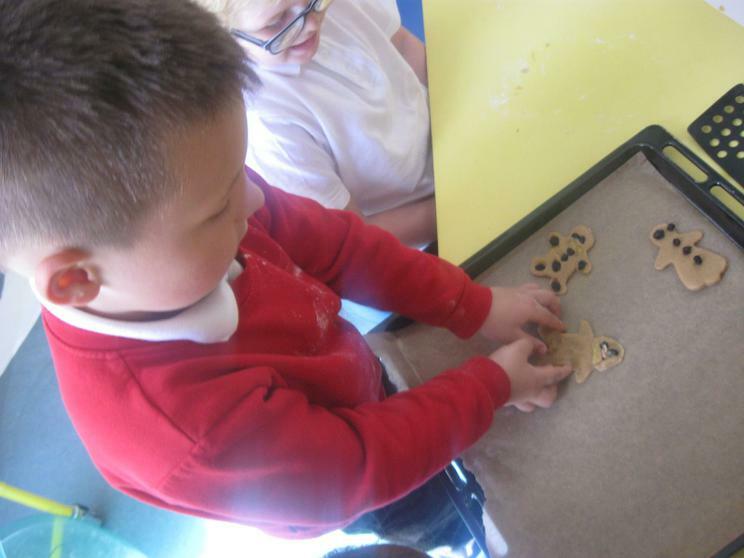 We spent Monday making gingerbread people, we worked well as a team in our small groups and took turns to weigh out, mix up and kneed the dough before we all got our own piece of dough to roll out and decorate a gingerbread person. 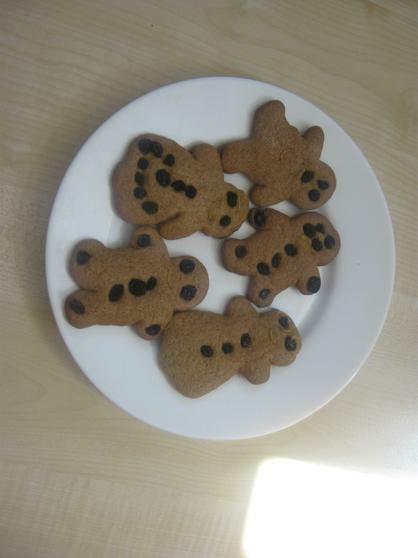 They were delicious, we put the left over ones in to the staff room for all of the staff to enjoy. 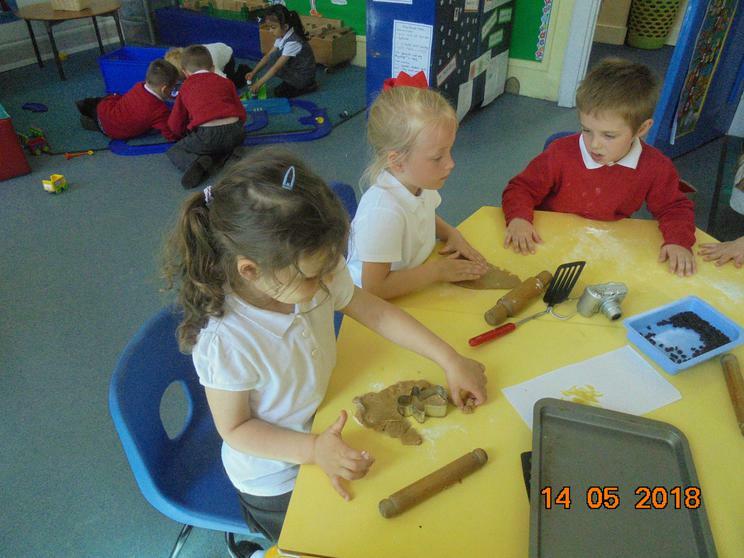 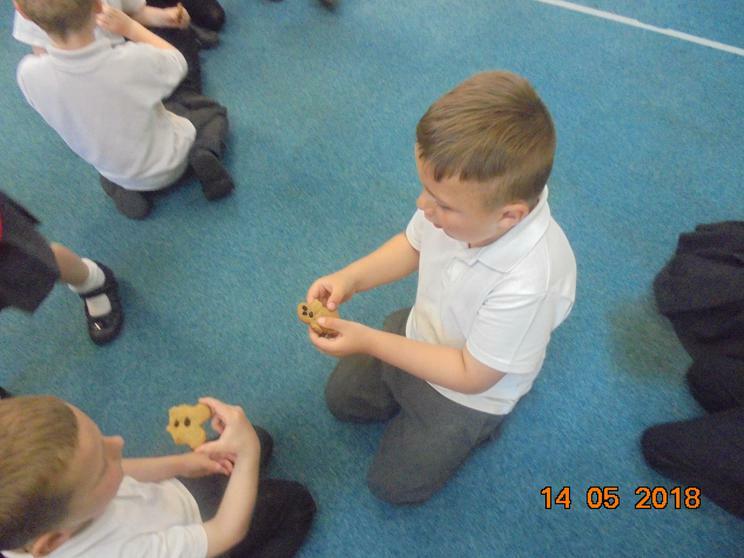 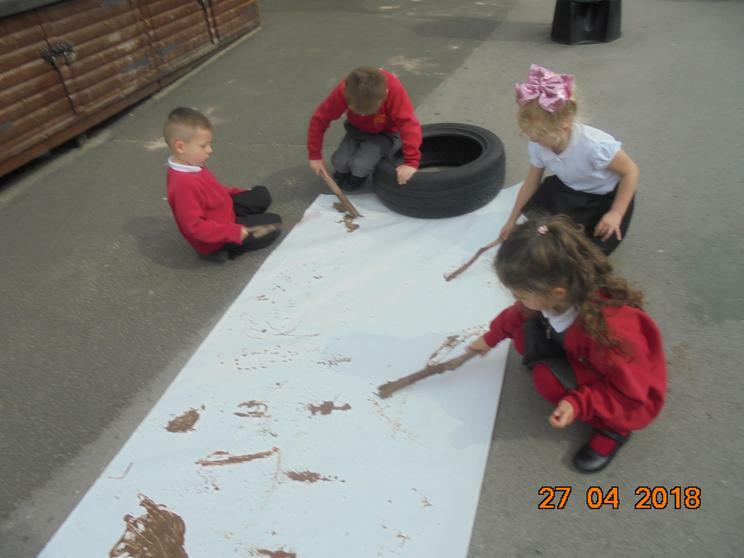 We have begun to think about our new story of the Gingerbread Man. 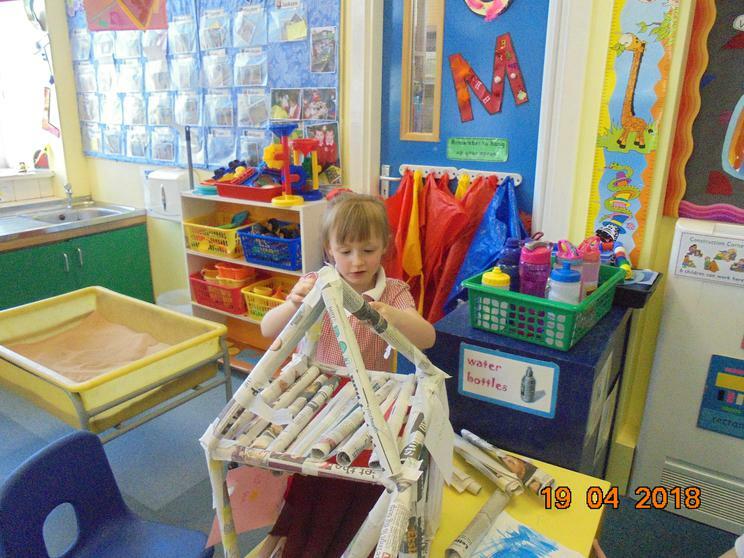 Mia brought in one that she had made at home. 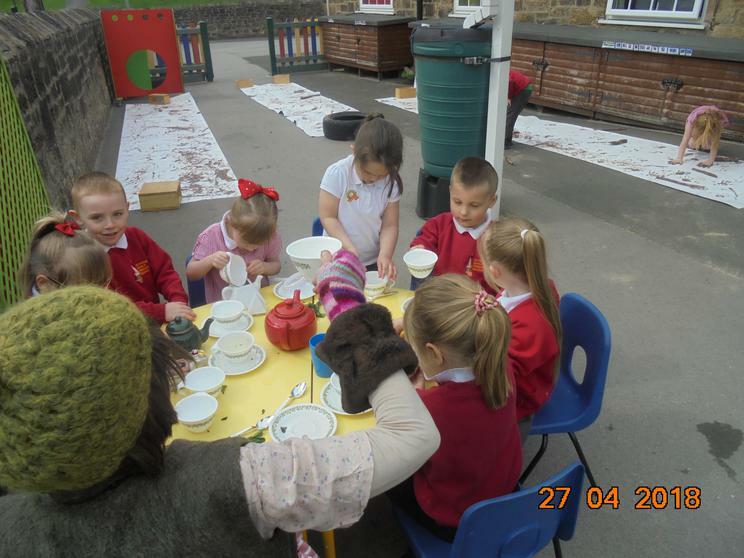 Mr and Mrs Beaver visited again this week and worked with us to make spiders, spider webs, dens and of course refreshing mint tea! 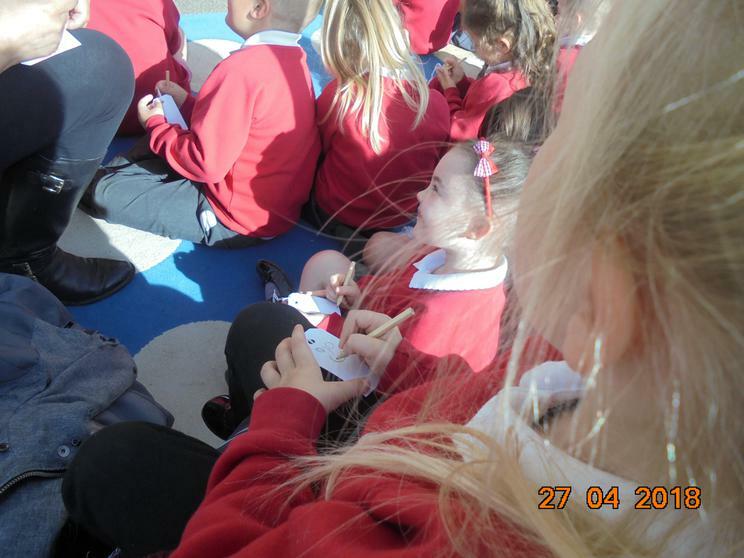 This is our Bingo Homework sheet from now until the summer holidays. 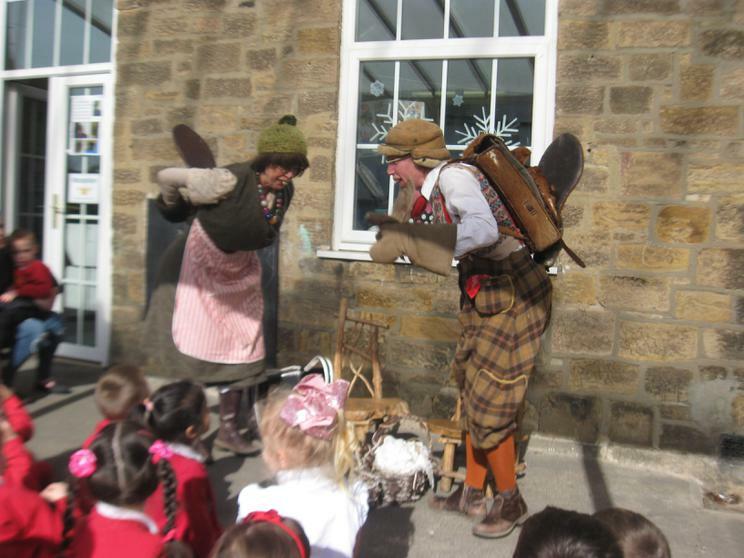 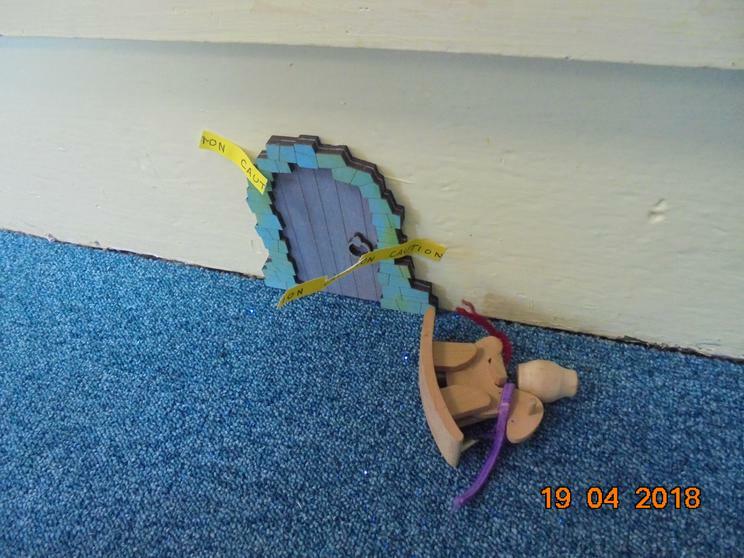 We have been thinking about the story of 'The Elves and the Shoemaker' ever since the little doors appeared at school, we have a shoe shop role play and this week we have been writing part of the story for ourselves. 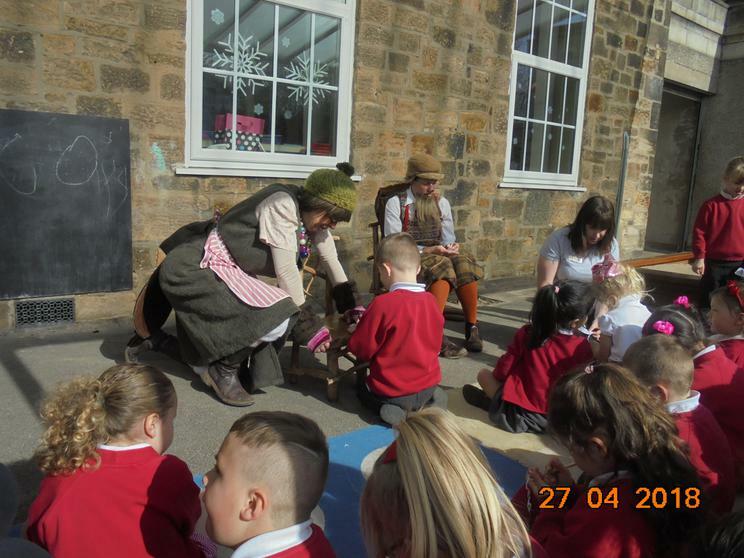 The man cut our some shoes. 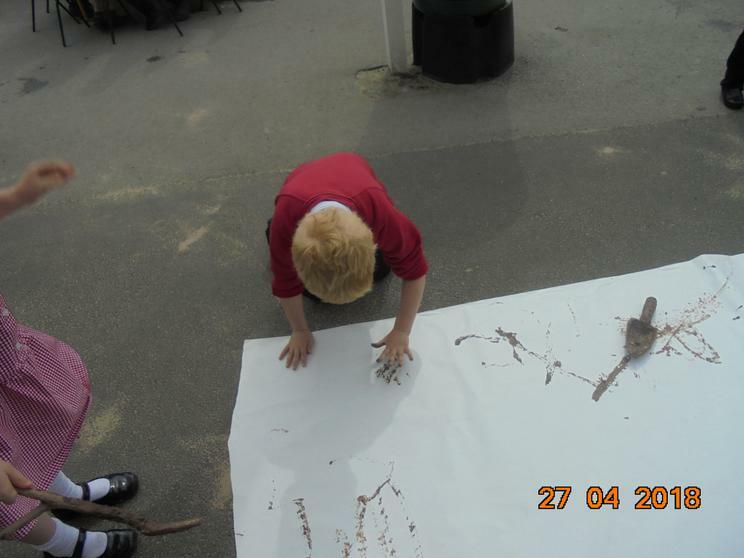 The man was rich. 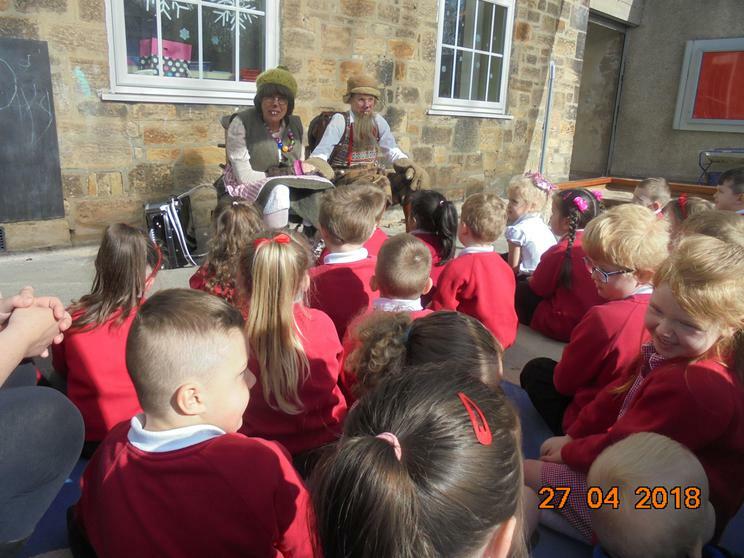 The man cut out the hats. 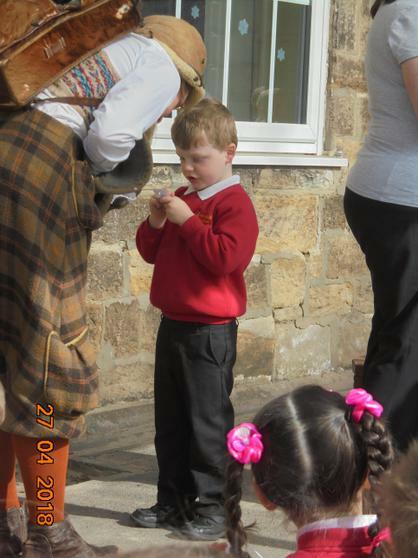 His wife made the socks. 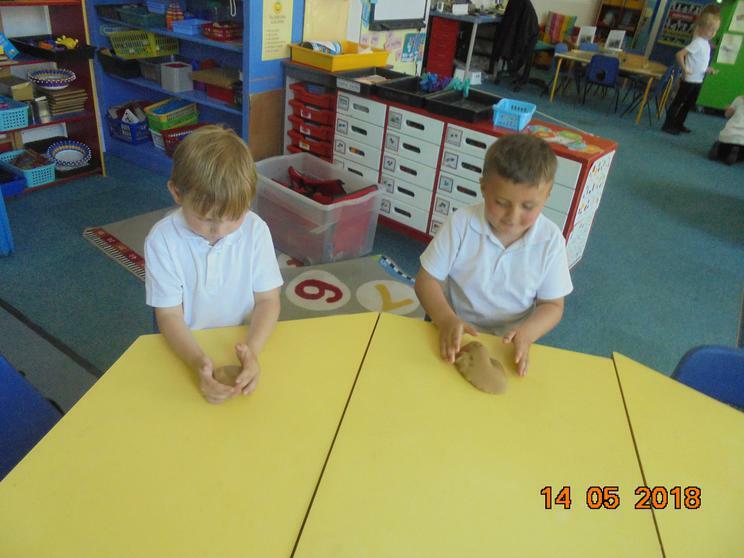 The man cut out the shoes. 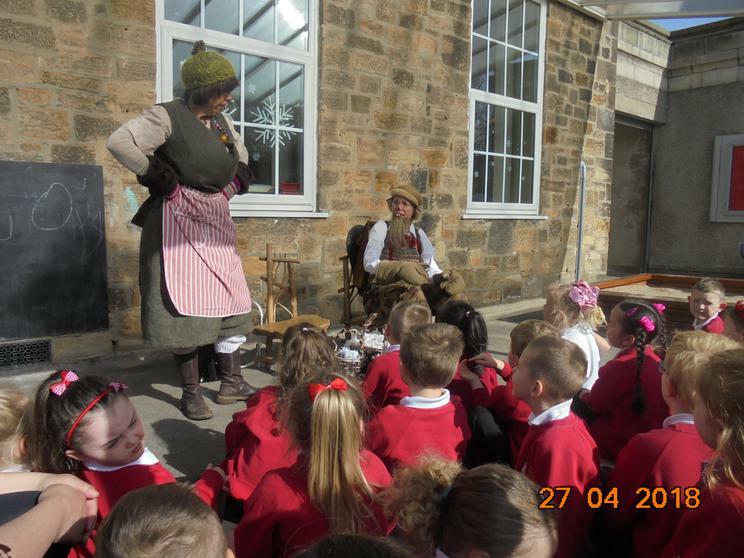 The man cut out the shoes. 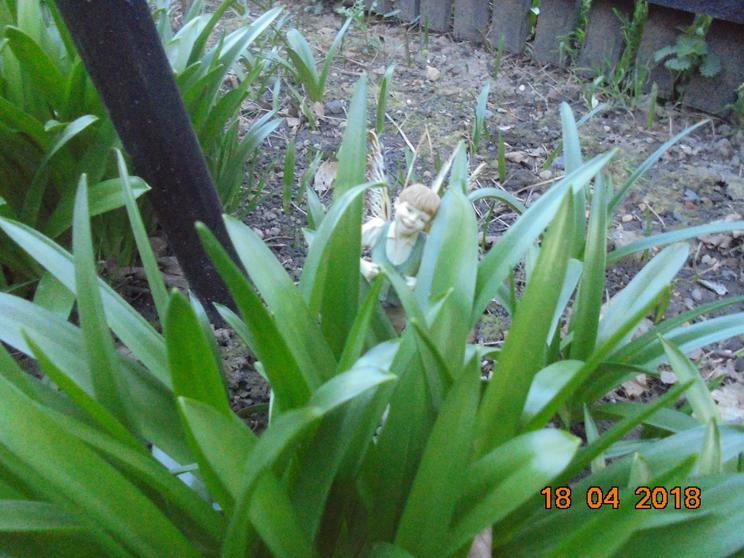 The man went to sleep. 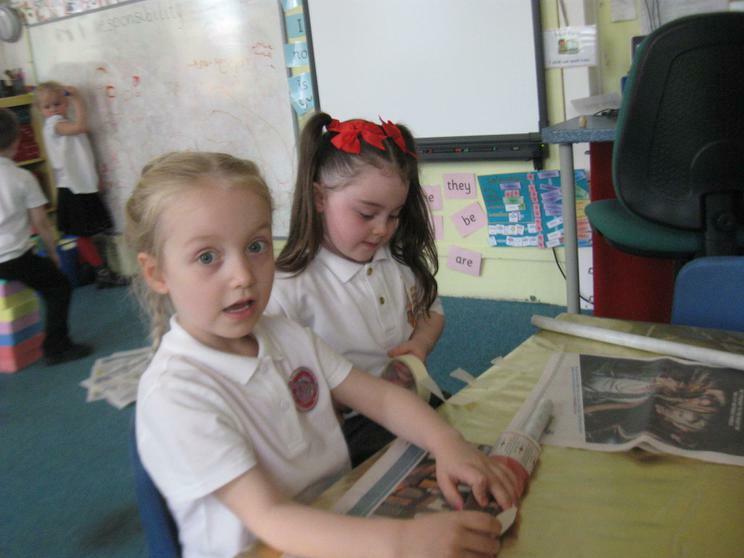 On Friday afternoon we went to visit Newburn Library, we looked at lots of books and chose some to bring back to leave and share at school. 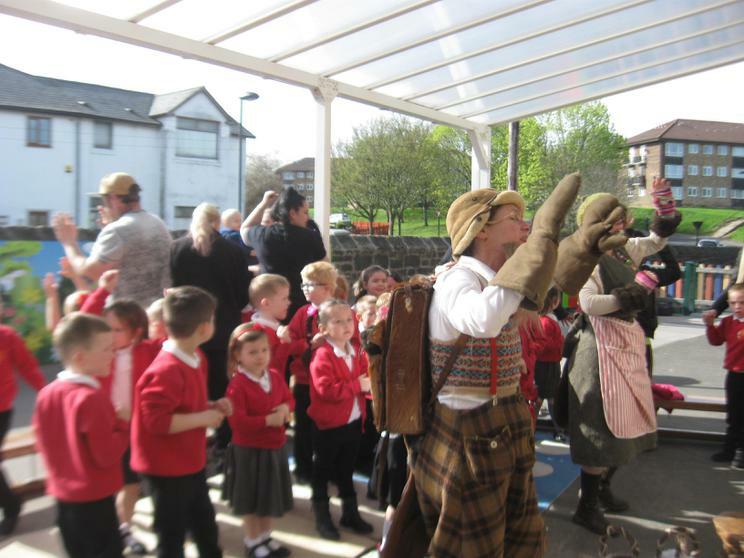 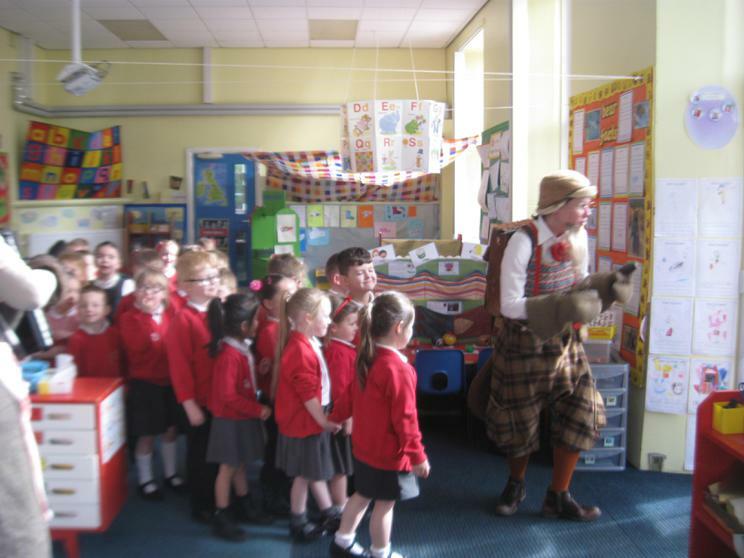 On Friday Mr and Mrs Beaver came to our reception class, they brought their nephew Justin Beaver, musical instruments, mint tea and lots of songs with them. 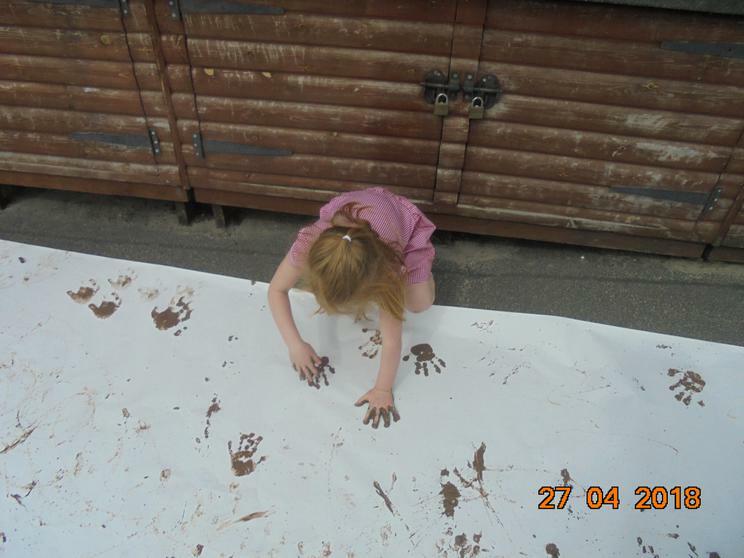 We spent the morning outside with some of our adults (until break) time learning a wish-tree-mountain dance and song then after break we made mint tea, a beaver colony in the sand pit, beaver biscuits with Miss Luke and used river mud, sticks and hands to create art on really long pieces of paper. 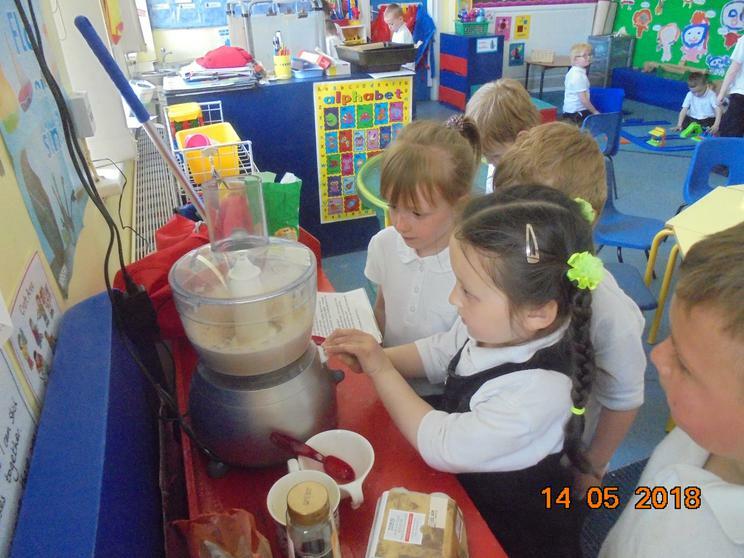 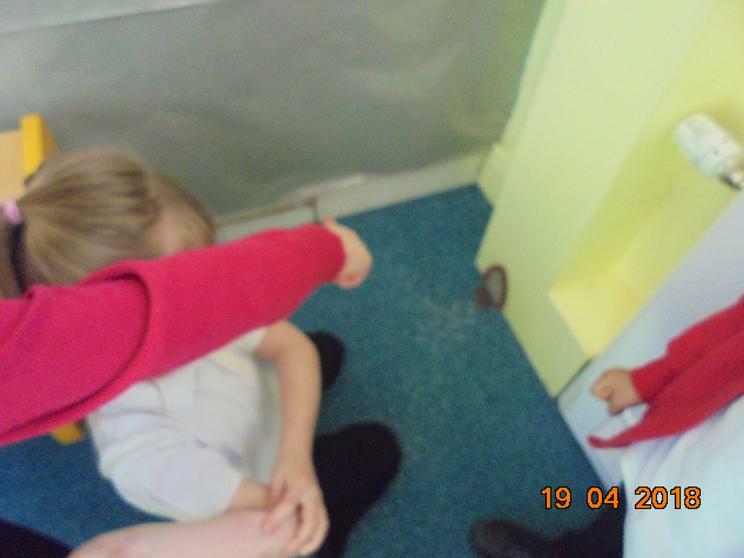 This week the children have been using one of our cameras to take photos around reception. 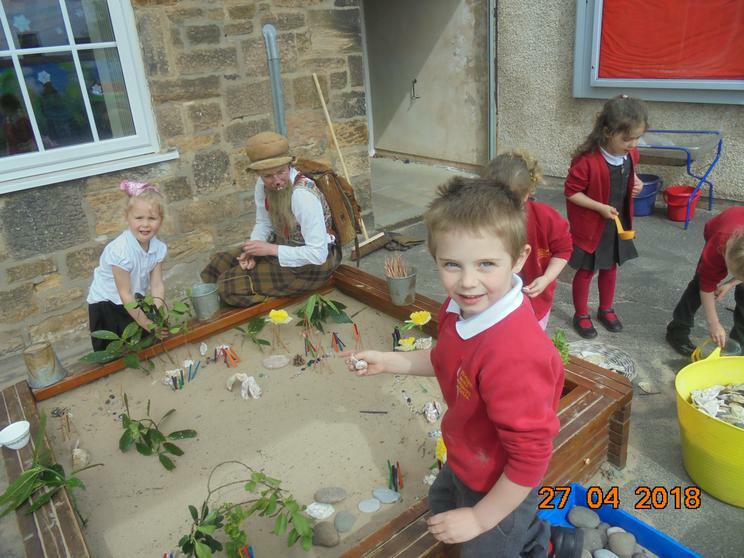 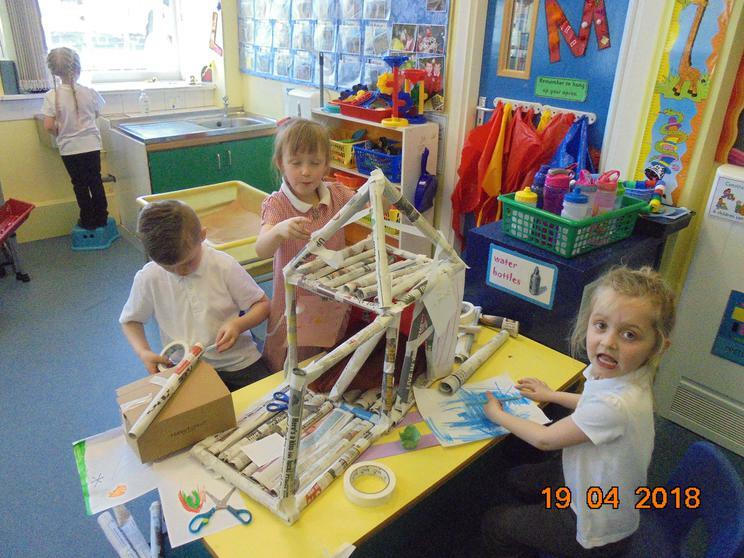 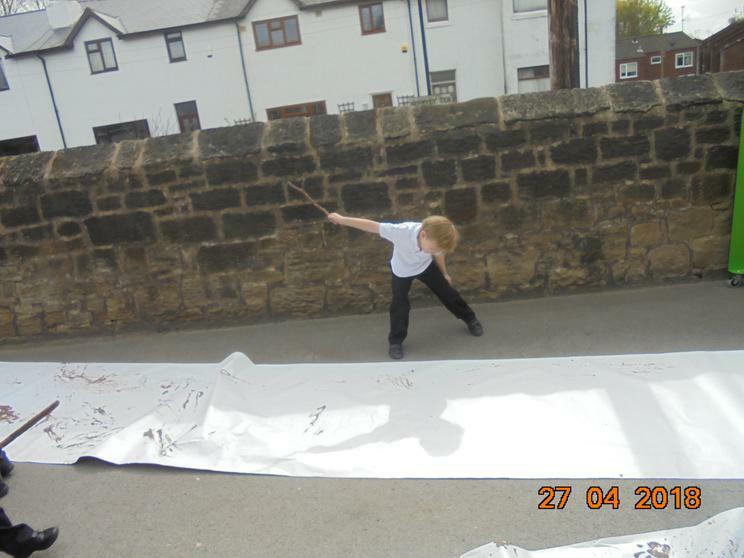 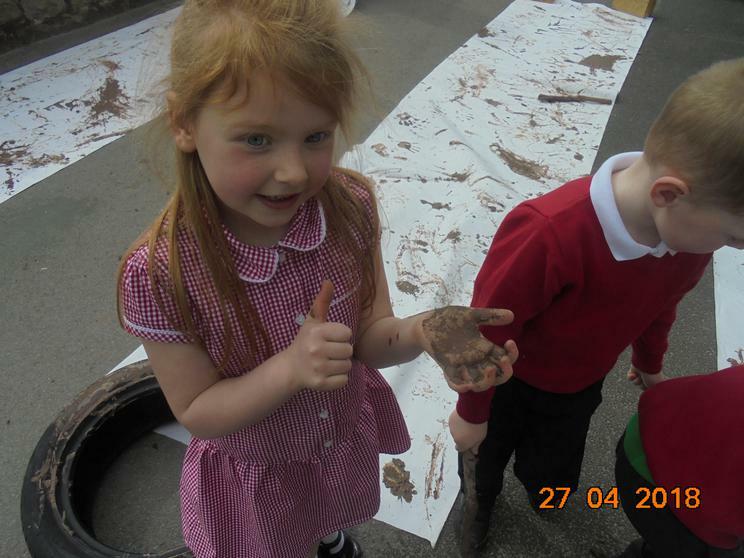 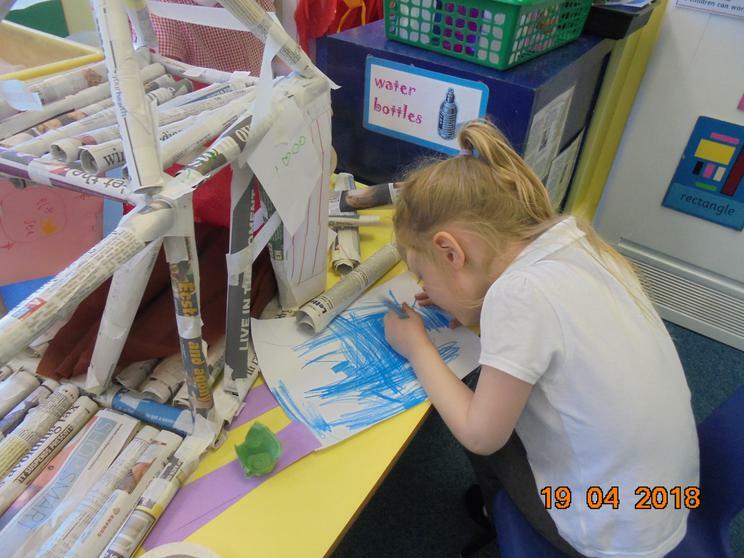 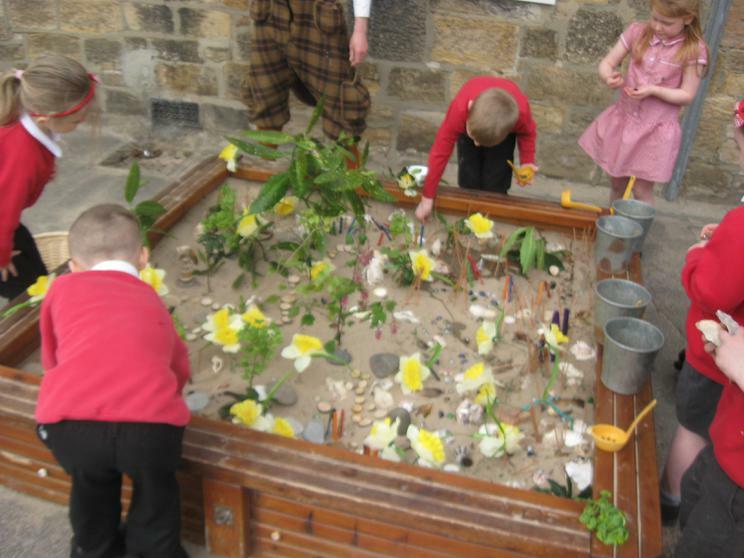 It has been really interesting to get a child's eye view of our learning environment. 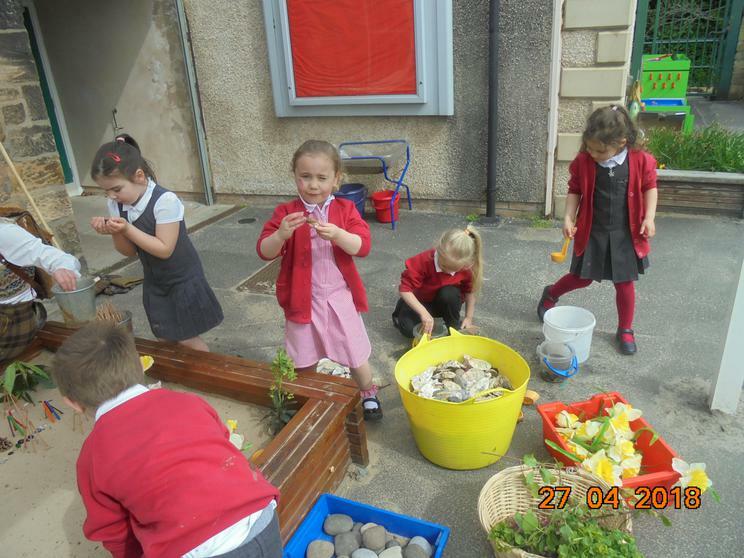 The new outdoor equipment has arrived in Reception and we have been fortunate enough to have had some lovely weather to enjoy it. 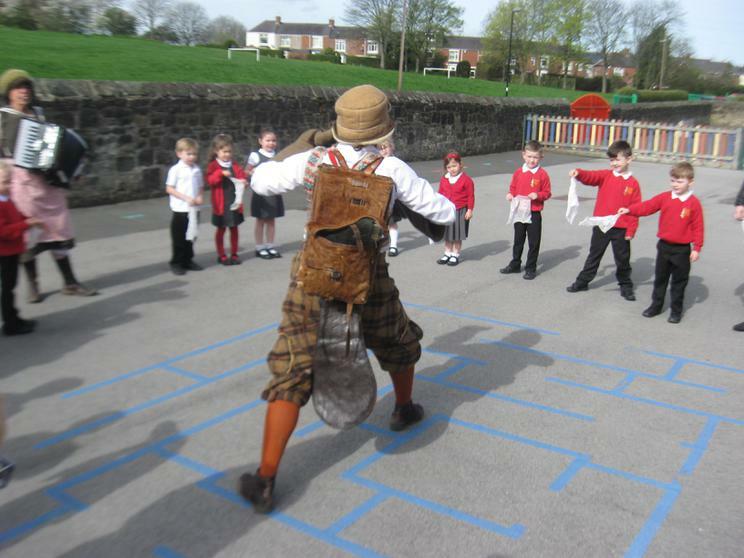 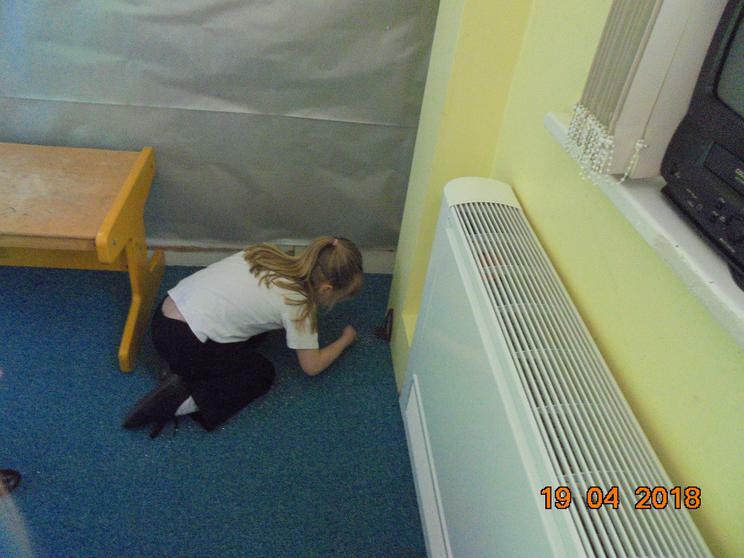 On Thursday we came to school to find out that it had been over run with small doors (over 60) and Mr Pickup had called in an exterminator to assess the situation and help us to decide what to do. 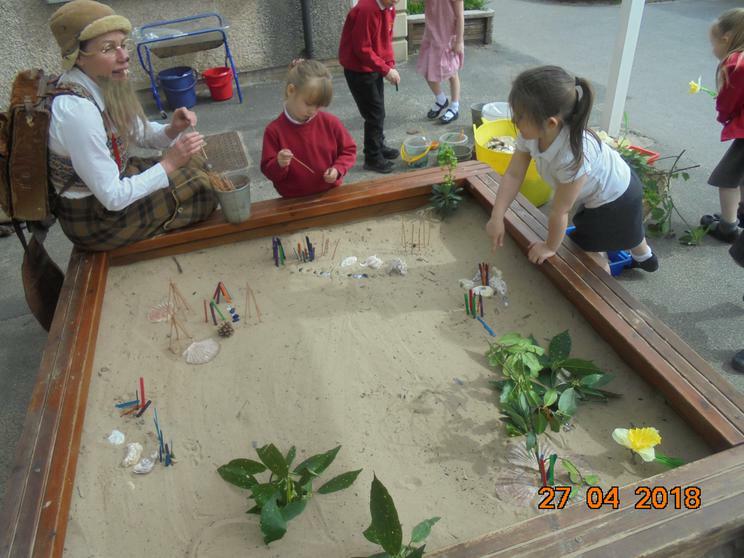 We were given the challenge to consider if the visitors should stay or go. 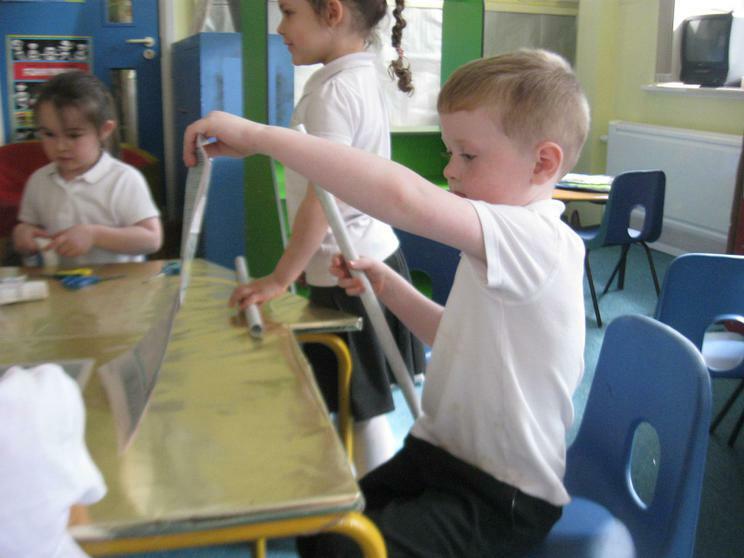 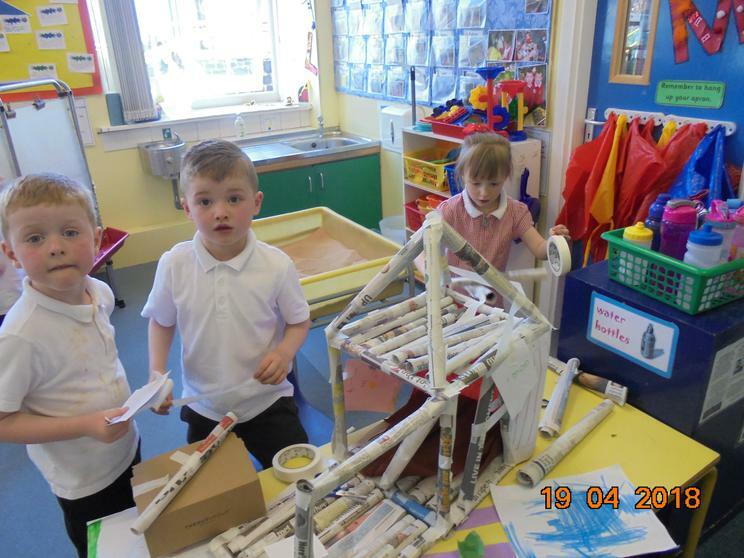 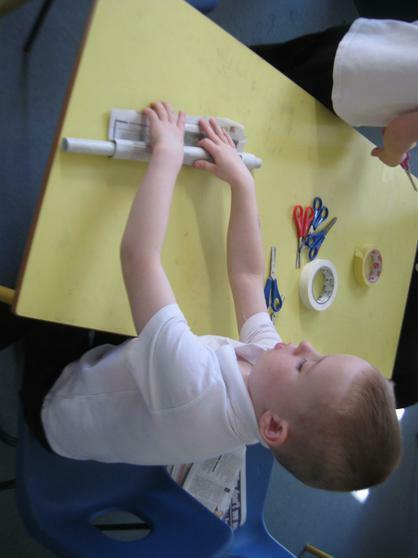 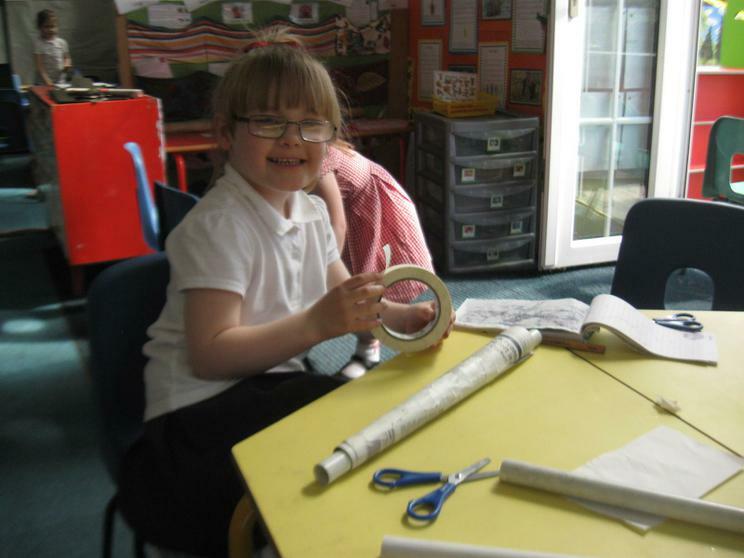 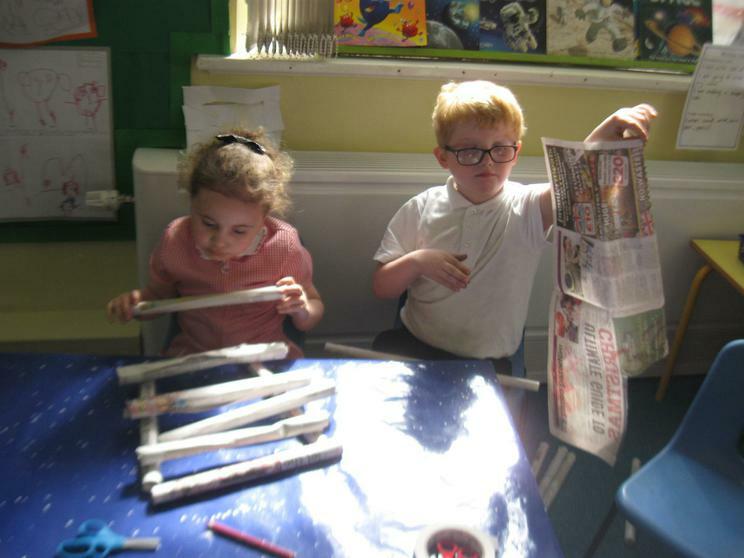 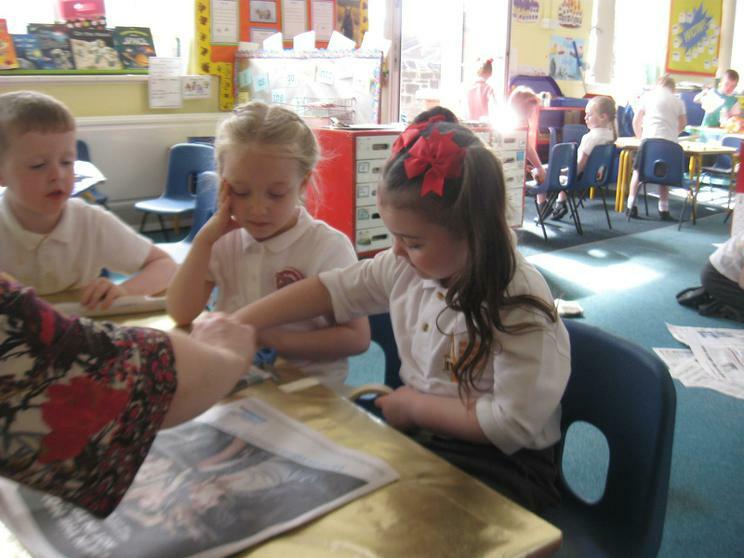 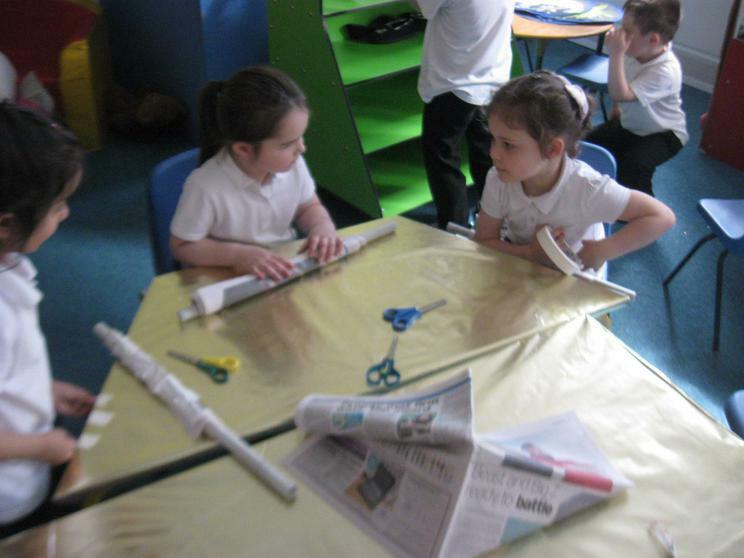 Technology Tom showed us how to make structures with rolled up newspaper and we worked hard together to make lots of rolls using them to make an elf hotel. 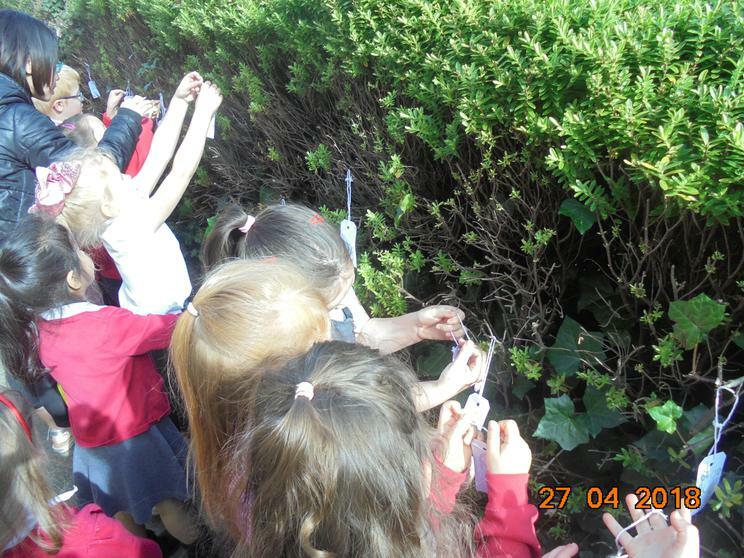 This week at Newburn Manor we have found tiny doors around our school. 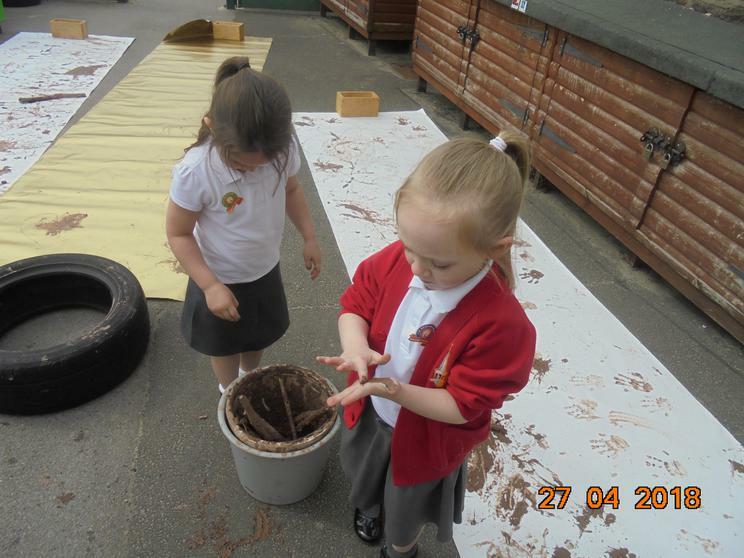 We are wondering who has moved in and where they have come from. 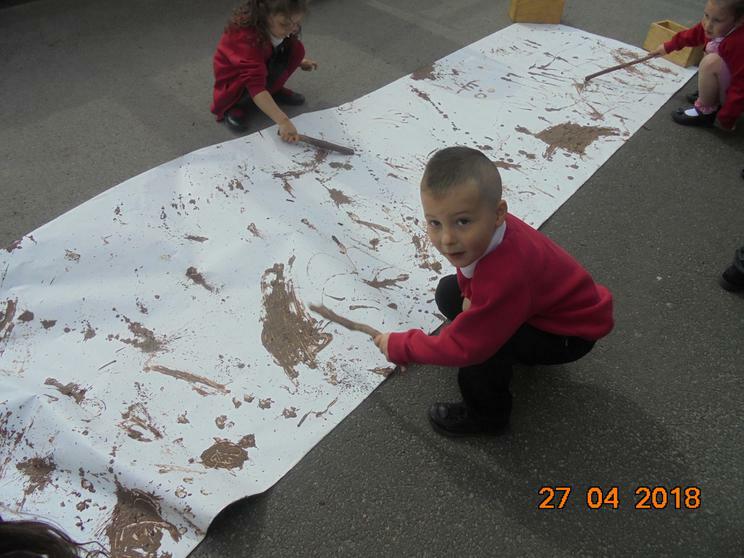 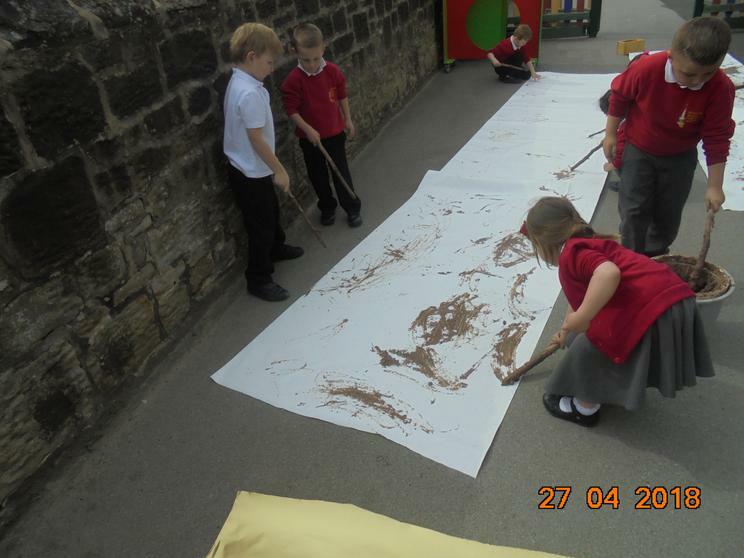 Reception have made posters to ask their questions and draw what we think the creatures may look like. 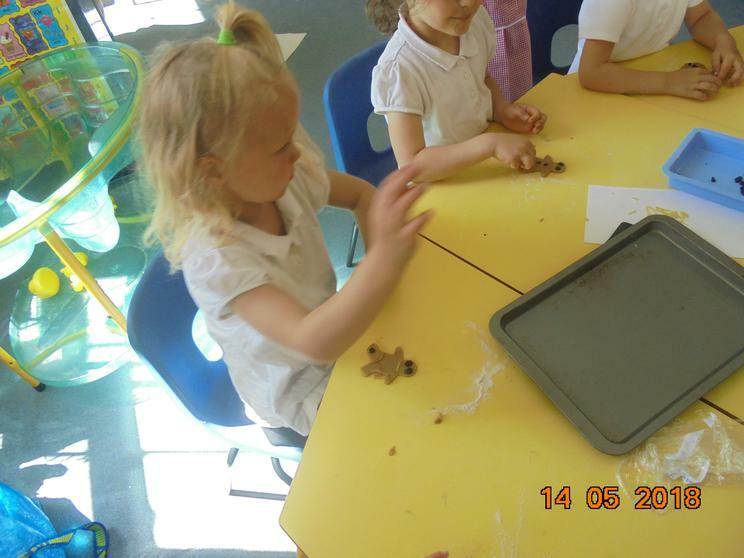 Why did you come to school? 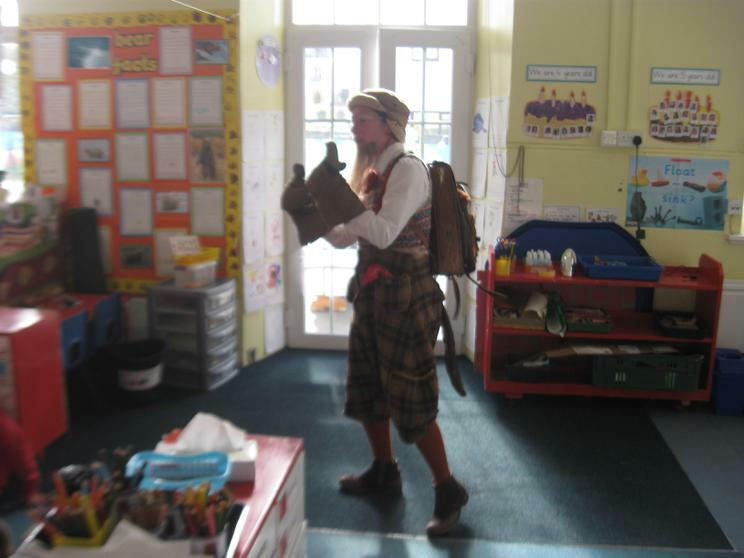 Have you seen the elf? 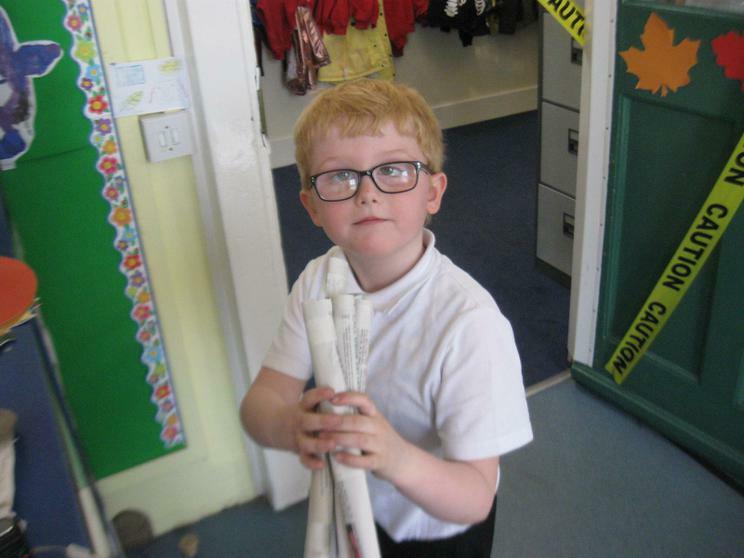 Why did you left your clothes here?